The Mansion is a cleverly crafted first person room escape puzzle game that gives you thirty minutes to unravel its clues and figure out the code to unlock the door to the exit. 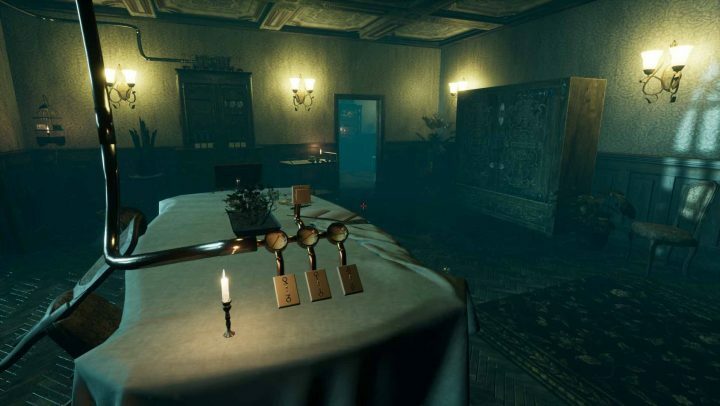 The puzzle based gameplay in The Mansion plays very much like a real life escape room, with you able to wander around, search for clues and solve puzzles in first person. You have just thirty minutes to find all four digits of a code that will let you out of the room and if you get stuck you can use a hotline to call for a clue (but you’ll lose five minutes of time for doing so). It’s not a horror game, but the old abandoned mansion that you find yourself trapped in is a little eerie and has a great sense of atmosphere. The puzzles are all very well designed, requiring a keen eye for detail and a little logic to figure them out. Some clues are very well hidden, so you’ll have to look high and low for them. It’s a great little escape room puzzler with high quality visuals, cerebral puzzles and a wonderfully creepy atmosphere. A virtual escape room well worth breaking into.